Dream City residential project, is the latest brainchild of MECRI (Middle East Construction Company). 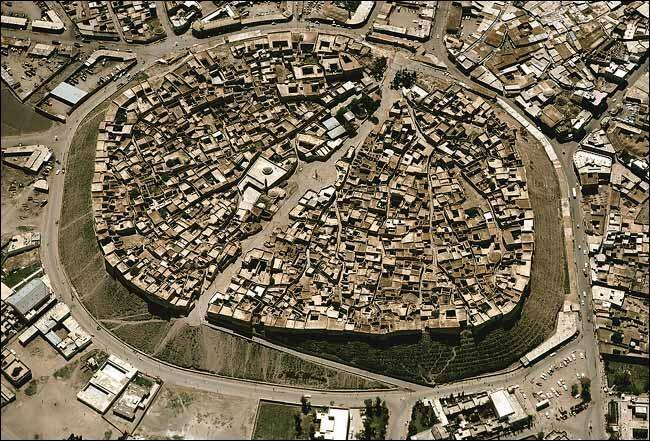 It is located 2 km west of Erbil City center in a relatively peaceful part of Kurdistan which is now northern Iraq. 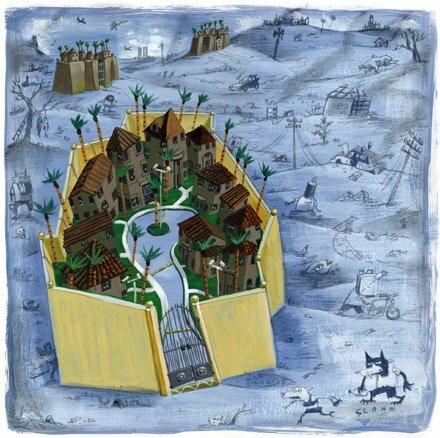 "On the ground, Dream City looks like nothing more than another walled compound in a country full of ruined army bases. It is only when watching the promotional film that the future of this particular site is revealed as a complex of 1200 luxury homes, a shopping mall, parks and schools: in short, a slice of Western suburbia grafted on to an Iraqi city." 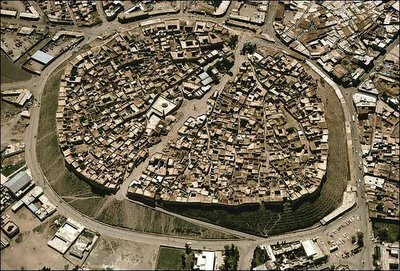 "The concept is medieval but the execution is very much 21st-century South Africa: a fortified town run as a miniature state. Rising from the winelands outside Cape Town, Heritage Park is enclosed by a computer-monitored fence that zaps intruders with 35,000 volts and alerts a corps of security guards. 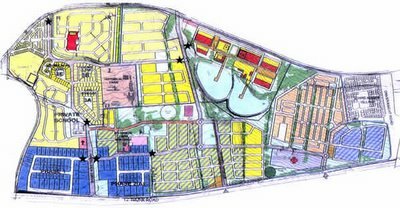 The newly built cluster of 650 houses, two churches, two schools and several factories on the outskirts of Somerset West could claim to be the safest town in crime-plagued South Africa." "According to the U.S. Census Bureau's 2003 American Housing Survey, there were 3 million owner-occupied homes in gated communities. Most popular in southern states, such as Florida and Georgia, the gated concept is now beginning to close in on the rest of the country. By some estimates, gated communities comprise 10 percent of the new home market, according to a report by Renaud Le Goix, a Fulbright scholar studying at the University of California, Los Angeles." Read more in this report from the Urban Land Institute. Also, see: Heavy Trash. "Thanks largely to deteriorating security, electricity - along with water, sewage, and oil production - has dropped below prewar levels. Before the invasion, for example, Baghdad was receiving an average of at least 16 hours of power a day. Today, with insurgents targeting power plants and electrical lines on an almost daily basis, the city gets power just four hours each day on average." Read this article in the CS Monitor. 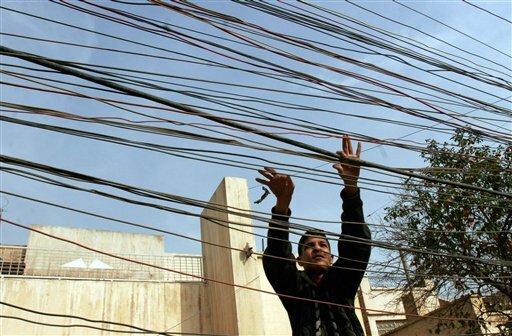 For more: Iraq needs $20 bln to end chronic electricity crisis, Middle East Online. "If the avian flu goes pandemic while Tamiflu and vaccines are still in short supply, experts say, the only protection most Americans will have is "social distancing," which is the new politically correct way of saying "quarantine." But distancing also encompasses less drastic measures, like wearing face masks, staying out of elevators — and the bump. Such stratagems, those experts say, will rewrite the ways we interact, at least during the weeks when the waves of influenza are washing over us." Not to mention Community Acquired MRSA or any number of other super bugs out there..